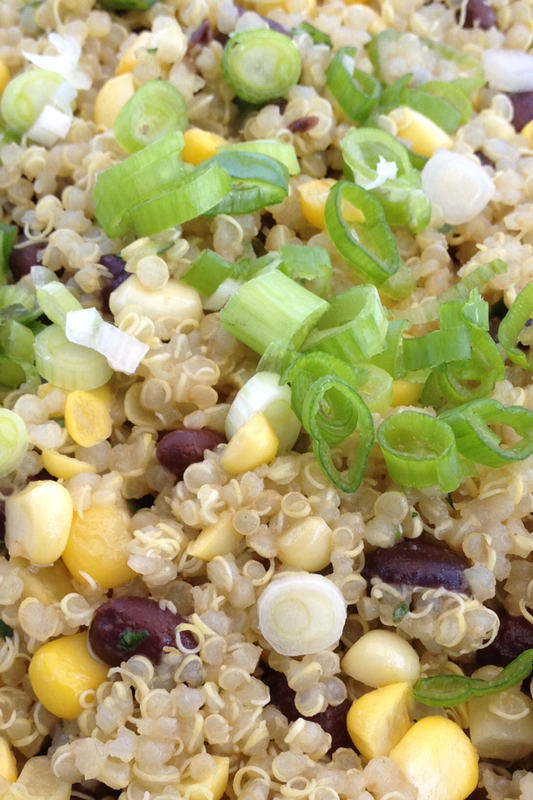 Lovely end of summer quinoa. Cook the beans and quinoa. Cut the corn off the cobs and sauté in a drop of grapeseed oil and a dash of salt for two minutes until the color brightens. Place the dressing ingredients into the food processor and process until combined. 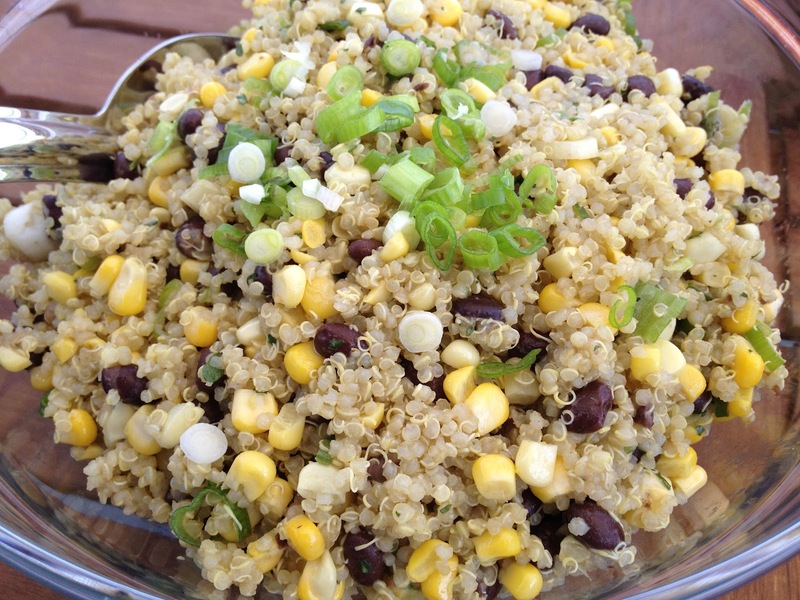 In a big mixing bowl, combine the quinoa, beans, and corn. Toss well. Add most of the scallions and the dressing and mix again. Top with the rest of the scallions. Enjoy!